The Shed Alliance Yurt is based on a traditional design used by nomads as a transportable dwelling for thousands of years. Stylish, functional, creative and edgy – the Yurt is all of this and more. The Yurt is fabulous for an office, studio, tourist cabin, parent’s retreat, games room or teenage bedroom in the back yard. 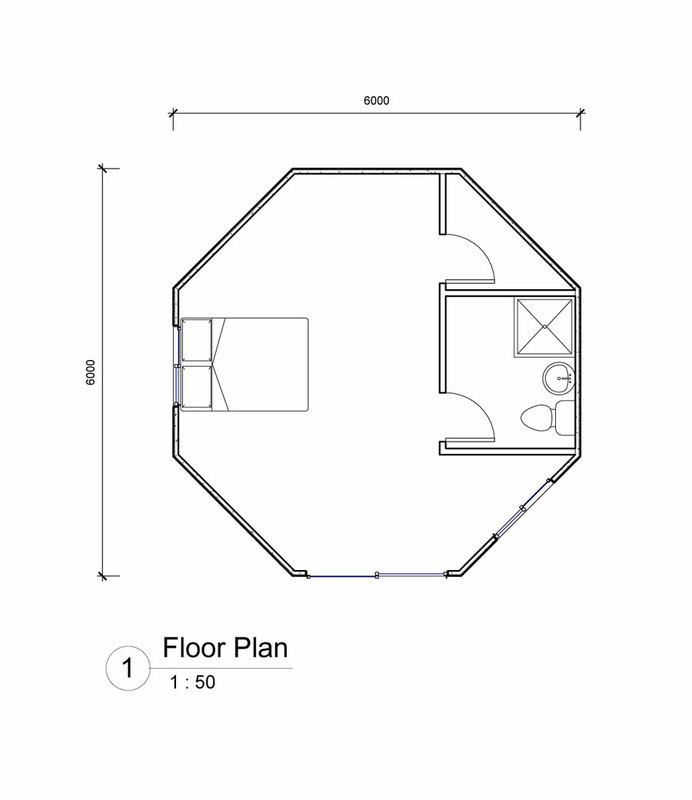 The Yurt can be built on a concrete slab or raised steel floor system with timber flooring. Several Yurts can be networked together to make a home complex with a walkway between them. Build a living area and a smaller one or two as a sleeping module and kitchen & bathroom unit. Walls are ready to line internally with nominal 600mm max steel stud centres. Add ceiling battens to line the ceiling.